Gameknight999 was sucked into the world of Minecraft when one of his father's inventions went haywire. Trapped inside the game, the former griefer learned the error of his ways. He transformed into a heroic warrior and defeated powerful endermen, ghasts, and dragons to save the world of Minecraft and his NPC friends that live in it. The Far Lands is a hidden area located at the very edge of Minecraft's outer borders, unknown to normal users. There, the life of a young boy named Watcher is suddenly turned upside down when his village is destroyed by the vile zombie warlord Tu-Kar. 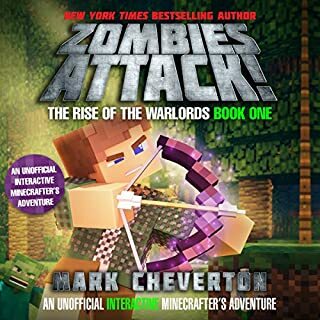 Watcher and a handful of his friends vow to save those who were captured during the devastating battle and bring the zombie leader to justice. 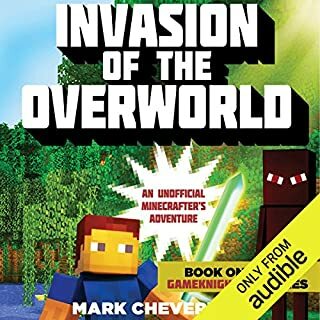 But along the way, they'll uncover a terrifying secret about the monsters in the Far Lands, one that could change Minecraft forever. 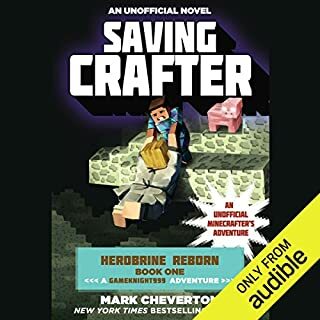 The world of Minecraft comes to life in this thrilling adventure! Gameknight999 loved Minecraft, but above all else, he loved to griefto intentionally ruin the gaming experience for other users. When one of his father’s inventions teleports him into the game, Gameknight is forced to live out a real-life adventure inside a digital world. What will happen if he’s killed? Will he respawn? Die in real life? Stuck in the game, Gameknight discovers Minecraft’s best-kept secret, something not even the game’s programmers realize. 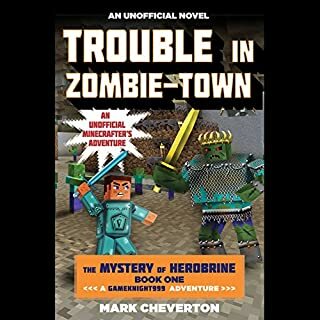 After the fall of the zombies, the balance of power between the monsters of the Far Lands of Minecraft is disrupted. The skeleton warlord Rakar grows stronger, and his skeleton army is leaving a terrible path of destruction in their wake. Watcher and his friends, determined to stop the violence, realize the warlord's power lives in the magical Fossil Bow of Destruction. 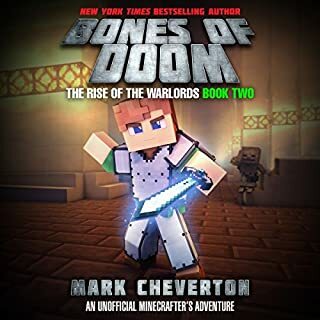 The mysterious weapon is locked away in the skeletons' subterranean kingdom, but unless the bow is stolen, all of the Far Lands could be destroyed forever! The witches of the Far Lands of Minecraft are missing...all of them! When a young village girl is badly injured, and only a witch can help her, Watcher and his friends quickly discover there are spiders involved. They must follow clues leading them through jungles and forests, all the way to the doorstep of the dreaded outcast spiders, the Forgotten. Watcher and his companions must figure out a way to free the witches from their ruthless captors, but can they escape the Lair of the Forgotten in time to save the girl? But suddenly, and mysteriously, software began misbehaving. Snowballs appeared out of nowhere. What seemed at first like harmless glitches quickly became dangerous. Pigs begin walking backwards, it starts to snow in the middle of the desert, and sheep are falling from the sky. Gameknight999, the User-that-is-not-a-user, has no choice but to investigate. But the odd yet harmless pranks are turning deadly, and it's not long before entire villages are completely destroyed. Examining the arrogant clues, Gameknight is no longer so sure that Herobrine was destroyed after all. Is it possible he escaped? Everything points towards a deadly trap far worse than anything that Minecraft has seen before. Will Gameknight solve the puzzle before the Overworld is destroyed? Sky Pony Press, with our Good Books, Racehorse, and Arcade imprints, is proud to publish a broad range of books for young readers/listeners - picture books for small children, chapter books, books for middle grade readers, and novels for young adults. 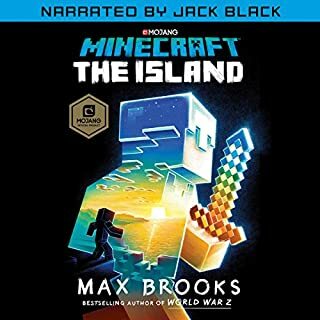 Our list includes best sellers for children who love to play Minecraft; stories told with LEGO bricks; books that teach lessons about tolerance, patience, and the environment, and much more. While not every title we publish becomes a New York Times best seller or a national best seller, we are committed to books on subjects that are sometimes overlooked and to authors whose work might not otherwise find a home. 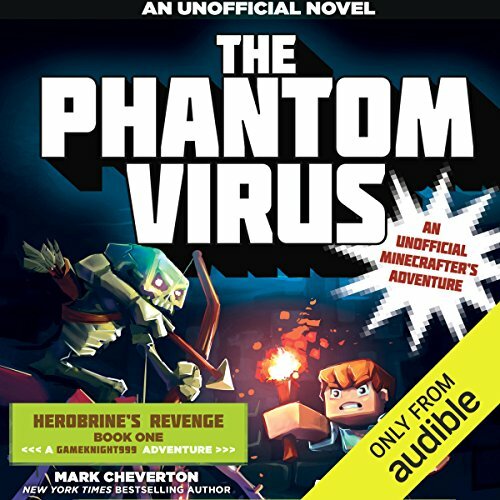 ©2016 Mark Cheverton (P)2016 Audible, Inc.